Here at Londonist Towers, we're massive fans of coffee, in all its forms. 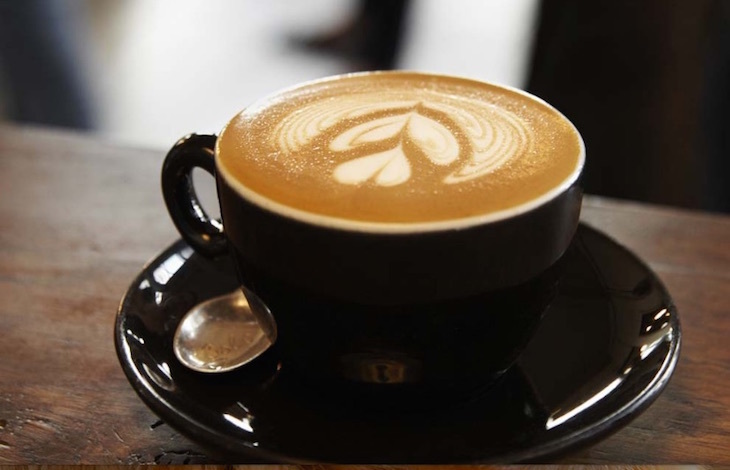 So it's only natural that we put together a celebration of our favourite independent coffee shops around town: places that combine truly special coffee with stand-out atmosphere. 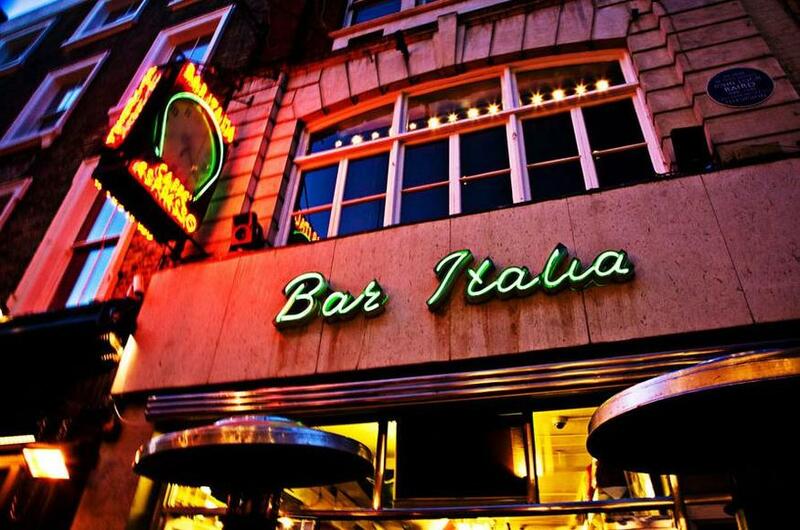 About as Soho as they come, this West End institution has been open since 1949 and is open 24 hours a day, ensuring you’re never too far away from a pick-me-up, be it on the way to work or post-partying in attempt to stop yourself falling asleep on that night bus. Putting very decent espressos, breakfasts and bites aside, the atmosphere is what really makes it here. Whatever time of day you visit, you can be sure of an eclectic crowd and the kind of genuine buzz you’d have to stick your finger in a socket in order to recreate in a Starbucks. Part of Granary Square, this bigger and (we think) better spin-off from Caravan’s Exmouth Market original comes complete with a built-in coffee roastery. If you’re popping in for a cuppa or something to eat from the very reasonably priced menu of pizzas and small-plates, you’ll enjoy the waft of roasting beans. If you want to get closer to the action, ask about coffee masterclasses which they run regularly, and you can buy beans and coffee paraphernalia to take home, too. 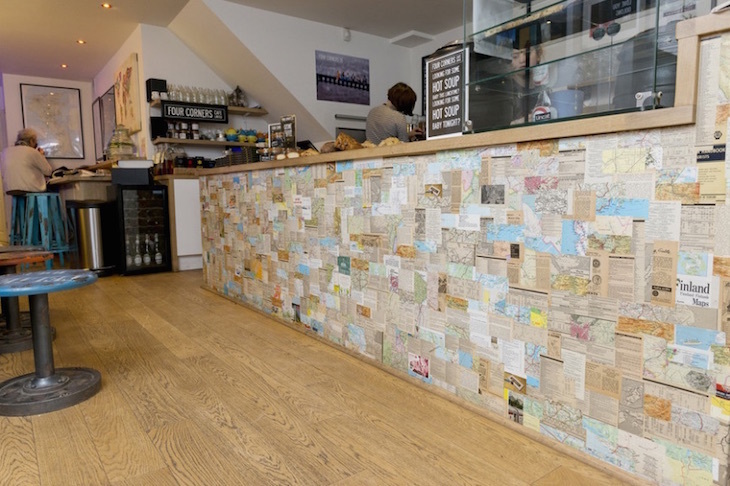 Four Corners brought top rate coffee and humorous A-boards to Waterloo when it launched on Lower Marsh in 2013. Coffee comes from Shoreditch roaster OZone and is handled with care by the ever-friendly team, while back-up comes in the form of homemade gin infusions and lemon sherbet vodka for days when coffee just isn’t strong enough. A forerunner to hipster Hoxton, this the-only-way-is-east café combines great coffee with some pretty cool, regularly changing art exhibitions and a vibrant menu of brunch-style dishes with an Antipodean undercurrent, they even stock some specially-imported Aussie and Kiwi products including Vegemite, Jet Planes and Giant Toasties. Pop in to make use of free Wifi and a bit of creative energy. Oh, and do try a bacon and egg pie. Monmouth were one of the very first independent shops in London to roast their own coffee, and they’re still up there with the best. While the ever-popular Covent Garden and Borough Market branches come with too many tourists and too long a wait for our liking, this Saturday-only site close to the action of Maltby Street Market is busy but not hectic. The roastery, which now supplies many cafés and restaurants around the capital as well as their own, is only a few minutes’ walk away, too. With a whole menu for espressos and their very own roastery, it’s no surprise that Notes take coffee pretty seriously. A sentence from their website will give you an idea of just how seriously: “every morning we take our time to ‘dial in’ each coffee – adjusting the grinder settings and coffee:water ratios in search of the best possible flavour”. Branches in Trafalgar Square, King's Cross, and the City are good options whether you’re just central and in need of a pick-me-up, or eager to put some time in and explore just how different one espresso can be from the next. 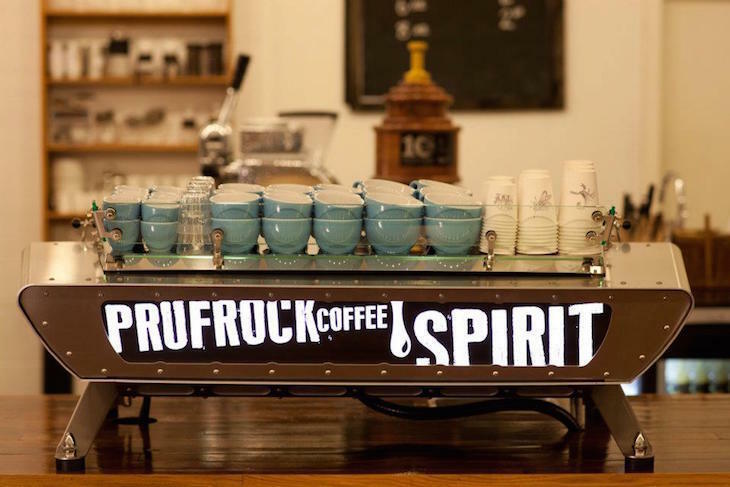 Well known for serving some of the best coffee in London, Leather Lane’s Prufrock Café is a discerning coffee drinker’s playground. There are numerous beans and blends on the go at any one time, and a comprehensive tasting chart to help you decide what to go for. 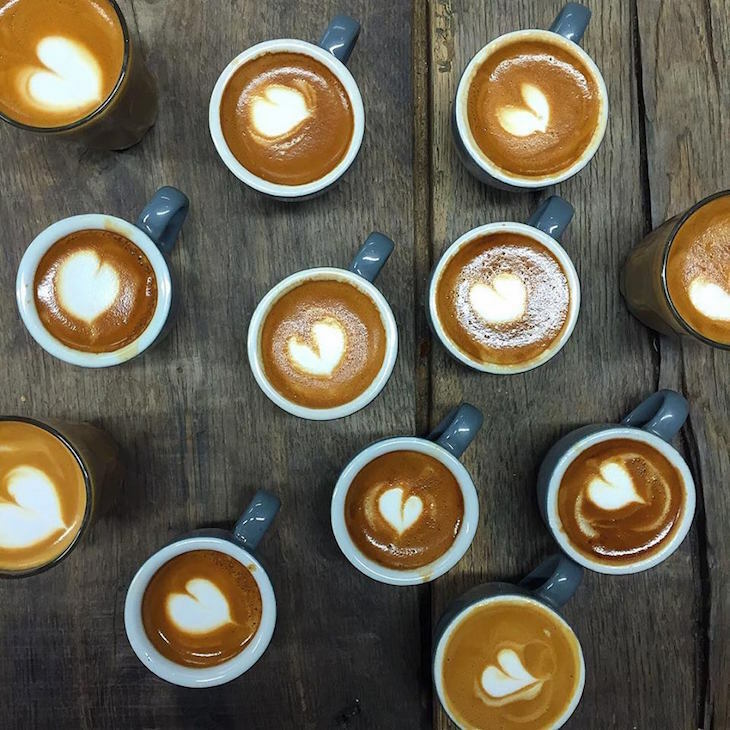 Rest assured they know how to treat it: the fact that there’s also barista training on-site is an idea of how much care they take and how on top of the game they are. Anyone for an ‘espresso theory’ course? Selling equipment for creating coffee at home, as well as numerous varieties of beans, Fitzrovia’s TAP is a haven for true coffee aficionados. Espresso-based drinks are present and correct, but it’s slow-dripped filter coffee and aeropress offerings that are are their signatures, and so long as you don’t mind waiting a short while for your coffee to come into fruition we’ve found them to be particularly rewarding. There are four branches of Workshop across town, but this Clerkenwell original is still the best in our opinion. For a coffee destination, it does a decent line in food, from sandwiches and salads to burgers and jerk chicken, as well as wines and beers of an evening. Back on topic, beans for the brews are all roasted on site and the coffee repertoire includes aromatic single origin aeropress numbers alongside espressos, macchiatos and all the usual styles. What we particularly like here is the fact that, should you want to, you can prop up the bar and talk to one of the team about the nerdy details of coffee until the cows come home. But equally you could just have a latte crammed full of the cows’ milk without a single disapproving glare. Workshop Coffee Co, 27 Clerkenwell Road, EC1M 5RN (other locations too).